Your passion for leadership has taken a few hits in the last while, hasn’t it? Maybe your team has run ahead of you – or worse yet, they’ve been lagging behind. Is your team waiting for you to show up with a renewed passion, and you’re not feelin’ it? That’s what this series of posts is meant to address: putting the passion back into your leadership. 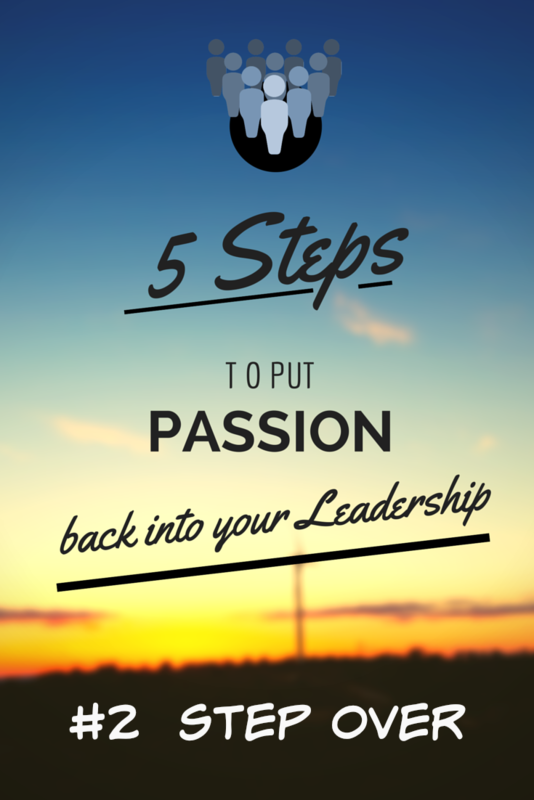 This is the second of five posts – 5 steps – to put passion back into your leadership. You know you’re called to lead. You know there are others waiting for you to run with the ball. You need to find that passion. No, you’re not going to be deceiving others. This step, like the first step of stepping back is all internal. You’re going to fake yourself out – and go in a new direction. Change direction to put passion back into your leadership. There’s a good chance that you’ve been leading for a while. Maybe for longer than just a little while? Perhaps a really long time? You know the problem with going in a certain direction for a long while? We get stale. The steps are the same, the pace is the same, it’s choreographed and we don’t even realize we’ve been doing the same-old, same-old, routine. The solution? Fake yourself out – go in a new direction, and change the pace. We’re going to do three things this week. Carry on with your one hour of solitude. Did you find anything good about taking that time away? 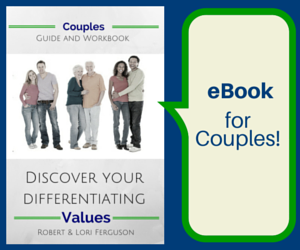 Send us an email – Robert.Lori@LeadershipCouples – and let us know how it went. What worked? What didn’t work? And what you’ve learned so far. You have a routine. Most leaders work within a routine. At one time that routine was effective, but we’re imagining it’s no longer serving you well. Passion does not ignite inside a routine. A routine which no longer is serving its purpose is like a vacuum. All the air has been sucked out, and the fire has no oxygen with which to burn. All the wood is there, but there’s no flame. You’ve seen a candle snuffer, haven’t you? Place the bell shape over a candle flame, and the flame goes out. The snuffer is the routine, and your passion is the flame. The routine has snuffed out your passion. Change your routine. Mess it up. Talk about how this next week looks with your spouse. What’s normal? What can you change? Maybe you’ll be working through things on your own, but there’s a good chance your spouse might be ready for a bit of routine breaking too. Make it fun! what you’re reading – if you always read fiction, change to non-fiction and visa-versa. If you don’t read – then start! Read something your 10-year old is reading. Read a book those you’re leading have recommended. 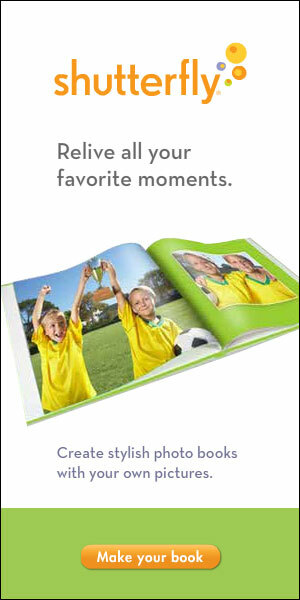 Visit the library – it has a plethora of options. what you’re watching – shut off the TV for a week. Or watch all kinds of sports, including ones that you’ve never participated in. (think curling, or rugby) Or don’t watch any sports if you’re a sports-lover, instead watch cooking shows. Try going to a live theater performance, a comedy club, rock concert, or motivational seminar. who you’re talking with – visit with someone new every day (or at least make a phone call), ask for advice from someone you admire, take a co-worker out for lunch, get together with a new couple – invite your neighbors over. Interaction with new people is a great way to kick a routine. where you’re driving – drive a new route to work or church, go on a road-trip, take an afternoon drive without a destination, take a new car for a ride or swap vehicles with your spouse to change up your driving experience. Do you live your life at a fast pace? One thing after another, day-in and day-out… you’re going round and around with no breaks? Does it feel like you’re on a tilt-a-whirl with all the music and motion, and the operator forgot to let you off? Change pace. Or is there a lot of chill-axing built into your life? Do you have this leadership thing down pat, and you’ve been doing it so long, you could do it in your sleep? Yeah, it’s Tuesday, so you do this. It’s Wednesday night, and you do that. No problem – it’s a cake-walk. Oh, wow! Change pace. It’s time to vary the pace. 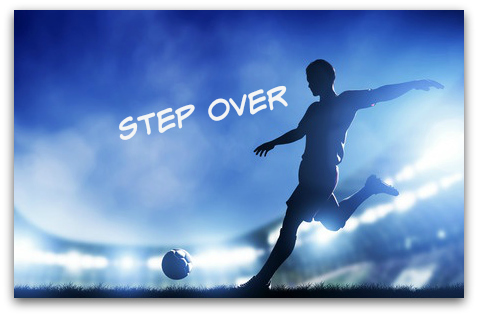 Do more than a couple of Step Overs! Be deliberate. Along with the new direction, also change up the pace to fake yourself out of that expected routine. Of course, some things can’t, and shouldn’t be changed. You still need to go to work. Your kids still need you to love them and they still need to eat. Your spouse continues to need your contribution and attention. 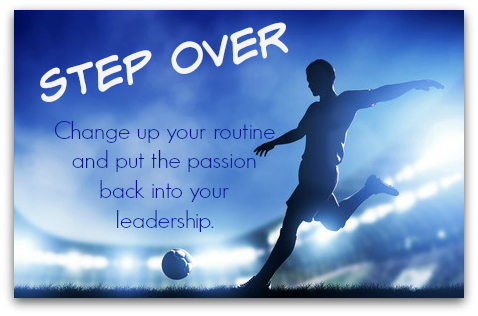 It’s how you accomplish those must-do’s in life that can be a step toward putting passion back into your leadership. You’re not changing your leadership – you’re adding the passion back into leadership. Step Over. Do it again. And Some Soccer Videos… just for fun!